We’d love your help. Let us know what’s wrong with this preview of Grace Awakening Dreams and Power by Shawn L. Bird. 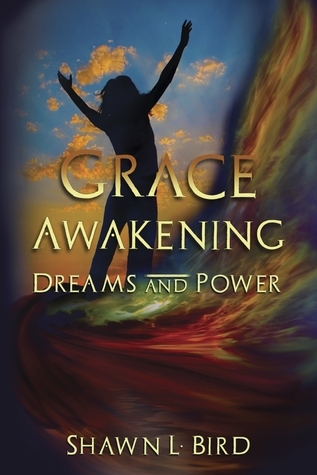 To ask other readers questions about Grace Awakening Dreams and Power, please sign up. YA,Greek mythology, urban fantasy - Books one and two of a trilogy. Before beginning my review, I must make two confessions. Firstly, I know the author, and secondly, I have read very little in the YA genre. These books, combine the worlds of Grace, a "normal" high school student in Canada, and that of some of the Greek Gods. It appears as if different factions of the gods (good versus evil) are fighting over the fate of Grace, which will determine the fate of mankind. In the first book, Grace is t YA,Greek mythology, urban fantasy - Books one and two of a trilogy. In the first book, Grace is totally unaware of this battle. She is living as a normanl teenager, absorbed in her studies and her friends. However, she is involved in an increasing number of potentially life threatening accidents. She is also becoming involved with an older teenager, Ben, who is a musician. During this period, she lives in Calgary, Alberta with her parents. The second book, finds Grace living with her Aunt Bright in Salmon Arm, BC. and separated from her boyfriend, Ben. This has been arranged, much against Grace's wishes, by the gods who are supporting and protecting Grace. She is now in grade 12 and more self aware. She begins to learn of her true nature and her responsibitities. Grace gradually gains power and battles are fought. As for the writing, I found it to be descriptive, and moved the plot along at a good pace. I loved the poems that began each chapter which gave clues as to what was coming. But most of all, I enjoyed the celebration of the arts, music, dance, literature which is the backbone of these books.